John B. VanLoon, Superintendent at Ravenna Public Schools. Karl Heidrich, Superintendent at Stockbridge Community Schools. Scott Smith, Asst. Superintendent at Hudsonville Public Schools. The Cedar Springs Board of Education met Friday evening, May 18, at 6 p.m., to review over 29 applications for the Superintendent position. The board started in open session, but then went into closed session to review the applications. They were not allowed to deliberate in closed session; they were only allowed to ask questions of Gary Rider, of the Michigan Leadership Institute, who is leading the search. They then moved back into open session, where Rider led the board in narrowing down their choices. 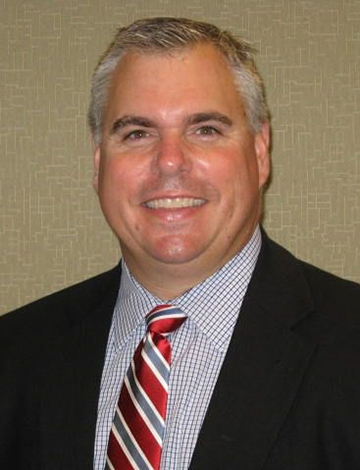 Karl Heidrich, Superintendent at Stockbridge Community Schools, will interview at 5 p.m.
Scott Smith, Asst. Superintendent at Hudsonville Public Schools, will interview at 6:30 p.m.
John B. VanLoon, Superintendent at Ravenna Public Schools, will interview at 8 p.m.
Heidrich has been Superintendent at Stockbridge Community Schools, a school with just over 1,400 students located between Lansing and Ann Arbor, since May of 2014. Prior to that, he was high school principal at Stockbridge from 2000 to 2013; and assistant high school principal there from 1999 to 2000. From 1995 to 1999, he was a teacher and athletic director at Deerfield Public Schools. He received a Bachelor of Science degree in Biology from Hillsdale College in 1995; a Masters of Education in Educational Administration in 1997 from the University of Toledo; a Specialist of Arts in Educational Leadership from Siena Heights University in 2004; and is currently pursuing a doctoral degree in Educational Leadership at Eastern Michigan University. VanLoon has been Superintendent at Ravenna Public Schools, a district with just under 1,100 students, since December of 2008. Before that, he was high school principal at White Hall District Schools from 1999-2008; and from 1996-1999, he was middle school principal at Comstock Park Public Schools. He has also been past president of the Muskegon Area Superintendent’s Association; is Michigan Association of School Administrators (MASA) Region III president; and a member of education and community organizations. 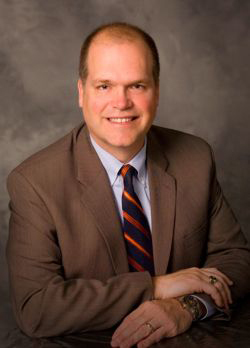 He graduated from Hope College in 1987 with a Bachelors degree in mathematics; received his Masters in Educational Leadership from Grand Valley in 1996; and will receive a degree as an Education Specialist from GVSU in 2019. Smith has been Assistant Superintendent of Human Resources at Hudsonville Public Schools, a district with about 6,600 students, since 2011. He also serves as the Director of the Community Education program, and the Directors of Aquatics, Early Childhood Education, Fine Arts Auditorium and Technology all report to him. He is also the Assessment Coordinator, and partners with the Asst. Supt. of Curriculum and Instruction. Prior to becoming Asst. Supt. at Hudsonville, he was a middle school principal at Hamilton Community Schools from 2001 to 2011, and an assistant Jr./Sr. high school principal there from 1995-2001. From 1992-1995, he was a middle school science teacher at West Middle School in the Holland Public Schools District. Smith received his Bachelors degree in Mathematics/Earth Science from Western Michigan University in 1988; a Masters in Educational Leadership from Western in 1995; and an Education Specialist degree in Educational Leadership from Grand Valley State University in 2010. Smith also was one of the five candidates chosen for a first round interview for the Cedar Springs Superintendent job in 2014. The Post became aware that Smith was initially invited to apply for the current opening by Board president Heidi Reed, and spoke to both Reed and Smith about it, since consultant Gary Rider has been adamant that there is no outside contact between the board members and candidates. Smith agreed. “I wouldn’t know Heidi Reed if I was standing next to her,” he said. Smith said he got a call on his phone on March 31 and didn’t recognize the number. It was Reed. 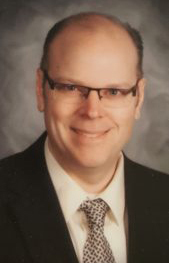 He had just went through a difficult Superintendent search with Hudsonville, and found out that they had decided to hire Doug VanderJagt, from Rockford (who coincidentally, applied for the Superintendent position at Cedar Springs in 2009). Reed had heard that he didn’t get the job and encouraged him to apply at Cedar Springs. He said she had said she wasn’t sure if the board was going to hire a search consultant or do the search on their own, and they talked about the validity and transparency hiring a consultant would bring to the process. Once he heard that the board had hired Gary Rider of the Michigan Leadership Institute to lead the search, he went to him right away and explained what happened. “I had been working with Gary on another search, and I know there are specific protocols, and I know there is a need for transparency,” said Smith. Rider contacted Reed about it and the rest of the board was also made aware of the issue. Reed regrets the incident and said that people don’t need to fear she’s pushing through a candidate. “I’m just one vote. I don’t hold that much sway over the board,” she said.